We've all heard of celebs getting swag bags when they attend parties or award events. These are filled with incredible stuff. Anything from Rolex watches and iPods to designer perfumes and cosmetics. Why give away swag bags like this? Well…the companies giving away the swag hope the celeb will wear it and then the company, in turn, gets FREE publicity. Win-Win. SwagBucks – You Can Earn What You Want. It's Free, Easy and for me, DELICIOUS! So I would define swag as “free” promotional stuff. Now…how can you and I (non-celebs) get our free swag? We don't get asked to celebrity baby showers or the Oscars – but we're still deserving, aren't we? I think so so. Hell yes. So – this brings me to SwagBucks. I am excited to tell you about SwagBucks because it's not often I come across a real opportunity online where you can get something of value for free. And I never really take the time to sit here on a Sunday and write about something I don't feel is totally worth it. So – SwagBucks. What is it? SwagBucks first of all is a search engine. Most of know what that is. 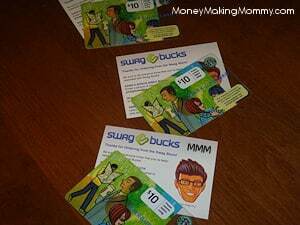 BUT – SwagBucks will actually pay you in “swag” dollars (virtual currency) to use their search engine. So know you're given the opp to earn something for doing something you already do. Love that. The more you do – the more you can earn. Once you've accumulated a decent amount of swag bucks – you can then go shopping in the Swag Store. My favorite part. And let me be real clear here – the store has NICE stuff. Not crappy diddely-dos. I ALWAYS go for the gift cards. LOVE these. So many choices too. Target, PayPal, Starbucks, Amazon, Lowes….the list goes on. For me….it's Starbucks. My favorite thing from Starbucks….a grande sized, iced mocha….non-fat, decaf, no whip. Now – these boogers cost $3.99 with tax. Lets say I treat myself to 2 a week. Hello – that's $8! If I just get them in warm weather – that's still almost $200??! OUCH! I can't afford that. But I do love me an iced mocha grande. And since I'm not a huge fan of dairy — they will make it with coconut milk now!! And have you tried their new holiday flat white? Oh my — again, made with coconut milk… no whip — heaven. Look what I got in the mail today! 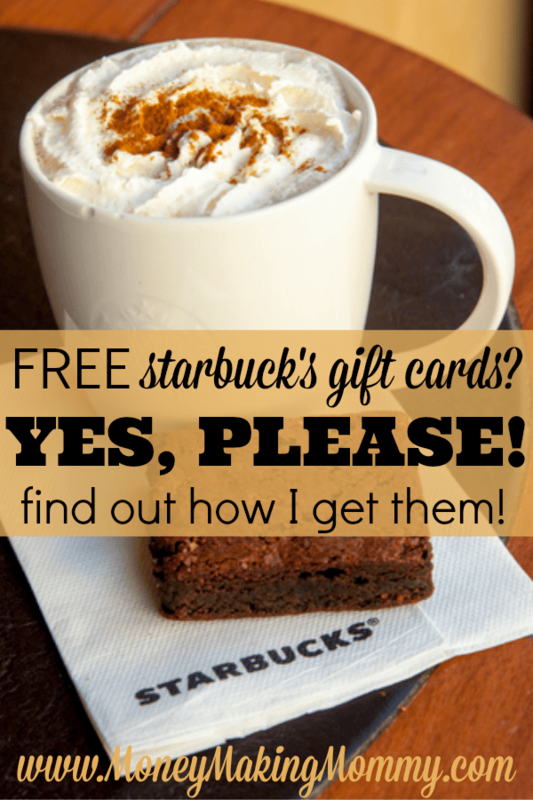 Yep…THREE, $10 Starbucks cards. That's $30 in FREE iced mochas for me this month. That almost covers my $32 a month habit!! I'm out only $2?! And all I had to do was use SwagBucks search engine, do a few polls….answer a few questions here and there….so easy it seems unreal. But it's real! Here are my cards! Right on my desk! I put it on my computer. I'm kinda funny about that stuff. But the toolbar has worked fine, no issues. Often SwagBucks has a signup promotion. You can earn free SwagBucks just for joining. There is also Mega SwagBuck Fridays. You can big ole swag buck amounts – like instead of $5, maybe $40 or even $100! I always do the daily poll as well – that's just too easy not to do. But there are some great special offers too. There are swag code extravaganza days too….so don't miss those. Even more ways to earn. So I give SwagBucks a big ole thumbs up. Actually I'd give two thumbs up….but I've got a delicious, FREE iced mocha grande from Starbucks in the other hand! Once you've signed up for Swagbucks – you'll begin to hear about Swagbucks codes if you haven't already. These codes are your ticket to more Swagbucks, cool prizes and more. Each month Swagbucks has a stash of awesome swag they so kindly dole out. And trust me – it's not cheesy crap. We're talking about Xbox 360 consoles, PS3 consoles and very nice giftcards, including from Amazon and they work just like cash. So be sure to subscribe to the Swagbucks newsletter and you'll want to follow them on Twitter too. Don't' forget to “like” them on Facebook as well (I know…. social media overload!! Ahhh!) Also when you log into your Swagbucks account – which you want to do every day – you might have a nice little message from the Swagbucks team letting you know the code for that day or the special offer. It's that easy. Swagbucks also has a blog – because they post some surprises and codes there too. It's also been rumored that Swagbucks will post codes in their Flickr Feed as well. So it's kind of like a little online scavenger hunt – but the prizes are so much better than candy or a hard-boiled egg!